A young sheriff has to keep the dusty streets of Dodge safe, so this toy cap gun set will come in mighty handy. Toy guns each measure approximately 8" long. 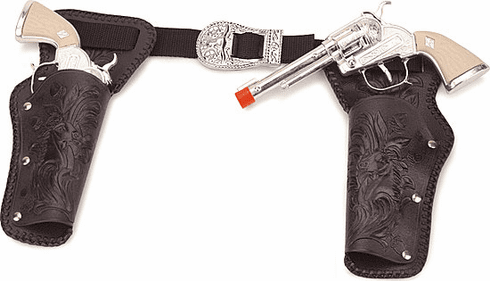 Tooled leatherette holsters with fancy buckle set on adjustable nylon belt.